Holistic Vet Archives - Holistic Actions! Like so many of you, I was animal mad when I was growing up. Unfortunately, my mum and older brother had bad allergies, so until an outside cat adopted me, I relied on a kind neighbor’s dogs – walking and training them. My own first dog arrived when I was 15. My dad brought home a white boxer puppy that was going to be euthanized by its breeder and my mum couldn’t say no. This was the mid 70s, and since then I have had dogs, cats, chickens, ducks, geese, and horses. I met my husband John at Ohio State, when we were both living in the same undergraduate scholarship dorm, located under the stands (really) of Ohio Stadium. We married in 1982, during vet school. I earned my Masters during vet school; combining Immunology and Poultry Science made the vet school coursework more relevant, and it ensured that my husband and I had plenty of eggs to eat. My studies also caused me to doubt the wisdom of the current vaccination paradigm. After graduating from Ohio State in 1985, my first year at a small animal practice in Maryland was abysmal. I went back to Graduate School to study Ethology (Animal Behaviour), while working part time at a different practice with supportive colleagues.. By the time I had finished the coursework for my PhD, I decided that I did like private practice after all, so I opted to forego completing that degree. I continued part time work while raising our two sons. Fast forward ten years into practice, and I was frustrated. Not with the patients or clients, but with the tools at my disposal. I felt like I was putting out fires temporarily; patients kept coming back for the same problem, and their health slowly declined. About this time, one of my horses developed a chronic lameness, and in desperation, I sought help from an integrative practitioner. Homeopathy, which I had previously dismissed as ‘impossible’, solved the problem, and I was determined to know more. In 1996 I took a short course in homeopathy through NCH from Dr. Christina Chambreau, and her suggestions regarding diet sorted out my beloved Newf’s allergies. I then was emboldened to struggle through a prolonged case taking and analysis with my first chronic case, an asthmatic kitty. Puddy’s people were nearing the end of their resources with his frequent severe attacks. The first prescription helped a bit, and after more study and analysis, the second prescription cured the cat. Puddy remained in good health for 8 years, to the ripe age of 18. Now I was hooked on this homeopathy, but where to study it? My personality did not mesh well with the course taught in the US at that time. The opportunity arose for my family to relocate to the UK for three years, and I attended the three year course of the Homeopathic Practitioners Teaching Group in Oxford, culminating in successful qualification for my VetMFHom in 2002, via examination by the Faculty of Homeopathy. This education was integral to my development as a homeopath. I had six primary instructors (both MDs and vets), numerous masterclasses, and guest homeopaths. This exposed me to the breadth of homeopathic practice, and opened my mind to the wealth of experience of my international colleagues. I returned to the US, and found an open minded conventional practitioner with whom I work, seeing patients on her premises. We have an agreeable arrangement: I have conventional diagnostics available, and the practice has a holistic practitioner for clients that prefer that approach. The practice owner is respectful of how my practice differs from hers, and I respect that she is doing the best for her patients with the tools at her disposal. I treat patients with homeopathy, nutrition, and acupuncture, tailoring the approach to the individual. My passion in practice is educating clients to make the best decisions for themselves and their animal companions. I have been on the receiving end of the medical system, through my experiences with our children and my parents’ cancer diagnoses. I understand the way the medical establishment can, intentionally or not, make us feel guilty when our decisions do not agree with what the doctor recommends. I have been pressured to make decisions that do not align with my beliefs. I have experienced the frustration of being unable to get a clear and meaningful discussion of the options available. I want, as do most people, a recognition that my thoughts are important, and a sense that my doctor is interested in what is best for me as an individual. My basic premise in practice is that each person has the same commitment to their family as I do, and deserves the same consideration that I would like to receive. I enjoy speaking about homeopathy, and I am involved with the AVH (Academy of Veterinary Homeopathy) the BAHVS (British Association of Homeopathic Veterinary Surgeons) and the IAVH (International Association for Veterinary Homeopathy). Through these organizations I promote quality homeopathic practice worldwide. We work to defend homeopathy from attacks in various countries (including the US), establish standards for homeopathic practice and education, and support efforts of national veterinary homeopathy groups. I do have interests aside from homeopathy! My husband and I cherish the time we spend with friends and family, and our sons and their partners are delightful. We love to travel, and explore different cultures and cuisines. We enjoy music; I play piano several hours a week, and we attend concerts ranging from Baroque pop, to classical, to jazz, to classic and indie rock. My organic garden leans heavily toward native plants and fruits, and my greenhouse has tropical fruit trees and plants. We have bred three litters (four in 2019) of naturally reared (NR = minimally vaccinated, weaned to raw) Bernese Mountain Dogs; this will be the sixth generation of NR dogs on the maternal side. I enjoy cooking, and baking, and we both delight in good food from DC – Baltimore restaurants. I was pleased to be asked to join the Holistic Actions! faculty by Dr. Jeff. I have known Dr. Jeff since 2002, when I became a member of the AVH, and I first met Dr. Christina at that introductory homeopathy course in 1996. The remit of HA! 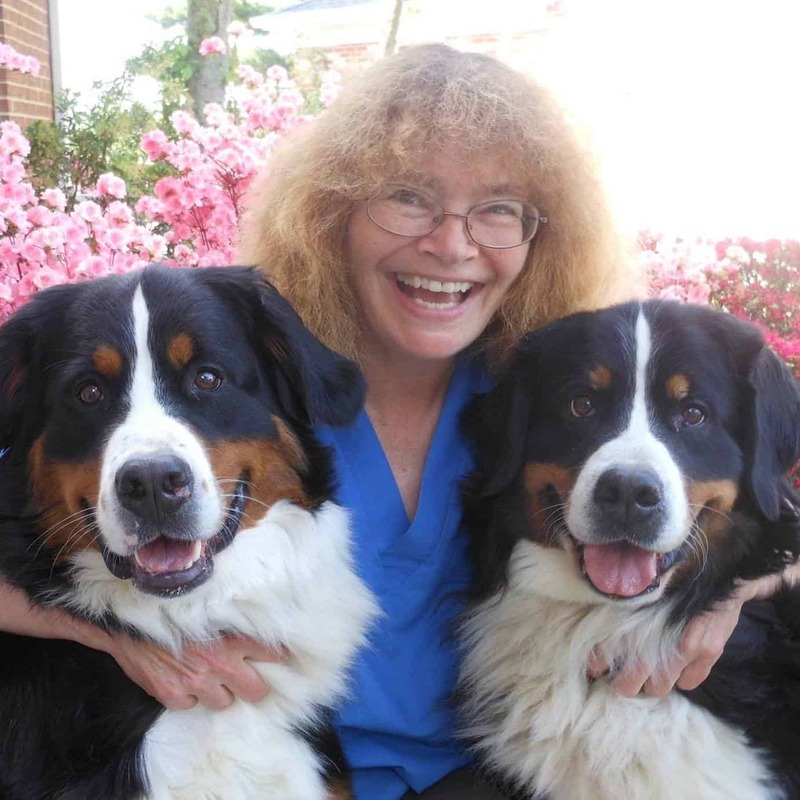 aligns closely with my personal goal of educating people to provide the best possible care for their animals. Graduating from the University of Georgia College of Veterinary Medicine in 1980 at age 30, I was not thinking at all holistically. I had done a two-day animal acupuncture class with the original U.S. founders of IVAS (International Veterinary Acupuncture Society), Dr. Grady Young and Dr. Marvin Cain. I then did a little research my senior year using acupuncture points for glaucoma that didn’t work so I was not interested in anything holistic. A year or so after I graduated from veterinary school, I was working at a small satellite clinic in southern Maryland, when a client came in and asked me to draw blood and send the results to her homeopathic veterinarian. I said, “Sure,” and did it—drew the blood—then said, “Hey, what is homeopathy?” She introduced me to it, and I called the local veterinarian, who had taken the very first class offered by British homeopathic veterinarian George McLeod for the National Center for Homeopathy. He sent me two bottles of these little white globules, saying that these homeopathic medicines were good for cats with bladder problems. I put them away on a shelf in the main clinic. At that time, I didn’t know that homeopathic prescriptions are not made for specific diseases like UTI. Homeopathy is based on the principle that “like cures like” and the selection of the medicine needs to match all the symptoms of the entire animal, current and past. He said, “Sure. You ask the cat’s owner.” Well, I was fairly timid, and I went in and I said, “Hi. I heard that your cat is not responding to these drugs for the cystitis. There’s this homeopathic medicine that can help.” She said, “Well, I’ll try anything. Tell me more about it.” “Well, I don’t know anything more about it,” but I did explain that a veterinarian in another city had sent it to me and the upshot was that one week of giving the homeopathic medicine probably twice a day—because I was very conventional back then—and the cat was off the antibiotics completely for the next nine months that I was at the practice and had no urinary tract problems. I was very intrigued by this result and the information my client had shared about her success in her psychotherapy practice using homeopathic medicine. The next two summers I took the NCH summer school weekends with Dr. McLeod, bought some books and began using homeopathic medicines at my next clinic. Owner Ann Lehman was open to anything that would help animals. A few memorable early cases included the following. A middle-aged Dachshund had severe spondylosis – on the radiograph it looked as if there was a second row of vertebrae below the real vertebral column, extending for 8 vertebrae. The dog could not bend sideways. He had been started on several homeopathic medicines by Dr. Khalsa in Pennsylvania which I continued. After 3 months of treatment, his radiographs showed 100% resolution of the spondylosis and he was as limber as a puppy. A cat with megacolon had to have enemas every few weeks and no drugs were helping. Four doses of a homeopathic medicine and she was defecating on her own. A wonderful woman rescued a schnauzer tied in the back yard in a Las Vegas home 8 years before I saw him. At age 5 he developed an odd behavior that began to increase in frequency, now happening weekly or more. Classmates of mine I respected had done every possible test and had no diagnosis and nothing that could help Muffin. He would waken between 11 PM and 4 AM, going under the bed and howling. Sometimes they could pull him out and cuddle him back to sleep. Other times he urinated all over them. Other times they put him outside and he would bark and howl and run around the yard. The entire episode could last 5 – 30 minutes. With homeopathic treatment and general holistic changes like a fresh food diet, the episodes completely resolved for the rest of his life (he lived to 19). That was the beginning. A local pediatrician was in my second weekend, knowing she would learn how to treat infants better by how animals, who also cannot tell you their symptoms, are treated. Because she did not require her patients to avoid coffee during homeopathic treatment as many homeopaths did, I decided to try homeopathic treatment for a year-long fungal infection that had not responded to my medical self-treatment. A famous Belgian homeopath was visiting her and they both took my case and prescribed one dose of a homeopathic medicine – and the Belgian told me no caffeine for three months!! My fungal infection cleared, and more dramatically, I had a profound shift in my psyche, leading to being married in June the next year to Morton Orman. We are still happily married over 30 years. One dose of a homeopathic medicine certainly dramatically improved my life. After taking the two weekend classes, I enrolled in the year-long New England School of Homeopathy’s year-long training program taught by Paul Herscu. By then, Dr. Pitcairn was offering annual weekend classes on homeopathy for animals and I went to every one, offering homeopathy more and more often for my patients. In 1986 I made an arrangement with the conventional veterinary clinic to see only homeopathic patients there and not see their regular patients. I also began working for the founder of the American Holistic Veterinary Medical Association in his clinic, learning even more about the holistic paradigm. I began teaching classes on holistic health and homeopathy. By 1988 I was doing mostly telephone consulting for people who wanted homeopathy and had no trained veterinarian near them. Speaking, teaching and writing filled the next two decades. And I continued to see the effect of homeopathic medicines on myself. A homeopathic medicine began a process of healing a liver damage from anesthetics after an accident. Experiencing the deep healing process helped me empathize with my patient’s journey to health. Then I broke my ankle when I was in Costa Rica, and homeopathic internal and topical medicines kept me relatively mobile. My husband did have to do all the driving! The radiograph I took at my local veterinary clinic when I got home showed a severe spiral fracture. The Orthopedic surgeon said “Since you have been walking on the ankle for 10 days you only need a removable boot and not the surgery I normally would recommend.” I could even take showers! Once the ankle was stabilized, all the pain and bruising resolved in 24 hours. I had none of the problems he predicted and in the 20 some years since then have had no problems with that ankle. Thanks again to homeopathy. In my sixties now, homeopathy and holistic approaches have kept me healthy enough to be on no conventional drugs at all. I started speaking in 1991, first for 150 people for a PETA (People for the Ethical Treatment of Animals) seminar about homeopathy. Over the next two decades I spoke at hundreds of venues. I was speaking everywhere I could about homeopathy and holistic medicine in general. From 1990 through 2003 I was on the faculty of the National Center for Homeopathy’s Summer School until it was discontinued. The wonderful head of the Maryland Veterinary Technician Program, Jack Stewart, hired me as a holistic modality adjunct faculty liaison and instructor beginning in 2004, lasting 10 years. Also starting in 2004 I taught as part of the Prince George’s Feral Friends summer school, teaching Introductory, Intermediate and Advanced homeopathy classes over the next 8 years. In 1995 I was able to speak at my 15th reunion at the University of Georgia. I was blessed to teach a weekend Introduction to Veterinary Homeopathy as part of a series offered by Dr. Richard Pitcairn, then helped run and teach the first several year-long Professional Homeopathy Courses. Dr. Pitcairn, myself and Dr. Jana Rygas worked together to found the Academy of Veterinary Homeopathy in 1995. I continue to teach courses around the country to lay and veterinary students. My commitment is to de-mystify homeopathy, to show how healing of all types follows the principles of the Organon and to have people realize the power (for good and bad) of remedies. I continue to write for any media, be on radio, TV, the internet and speak anywhere – from veterinary conferences to the neighborhood pet store. Empowering animal guardians to be their pet’s best advocate is now much more possible since joining the faculty of the Holistic Actions Academy in 2016. I am also the author of Healthy Animal’s Journal, Fleas Be Gone, and more. Over the decades of teaching and using homeopathy, what’s most important to me is that people ask questions. A major problem is that people aren’t asking their own veterinarians questions. This is one of the ways the Holistic Actions Academy empowers people in weekly webinars where they can ask questions and be reminded to pause and think about what treatments are being suggested by anyone. For example, if a conventional vet tells a pet owner to give heartworm prevention once a month, the pet owner agrees to do so, then asks her in a class or appointment if they should really do it. I often respond, “Well, do you know how your dog gets heartworms? Do you know how the “preventative” works?” Many people have no idea and so cannot make a good decision for themselves. Clients aren’t asking their veterinarians “What if” questions. When a veterinarian recommends an MRI because a pet isn’t walking very well, there are many possible questions before doing this expensive test, or treatments that may have a risk. How would the MRI results (or any other test) change the treatment protocol? Are there are any alternatives to the MRI? Can we try some other treatments first and do the MRI later? I want to say how blessed I am to be in a profession that helps people and animals be healthy and happy. You, my clients and students, are so passionate about the health of your companions that I am constantly inspired. I am passionate about living and supporting people and their animals. I want to let everyone know now about the holistic paradigm and all the healing options that are available. Your pet is ill and you want to treat holistically. You want to prevent illness, save money and have your companion live a long life. Who is an integrative veterinarian? She/he is a veterinarian, trained in using conventional drugs and diagnostics. She/he has been trained in one or many different holistic approaches. There are good ones and great ones, and you will have to discern the difference. Some homeopathic veterinarians will consult by phone, skype or email. Some of these have certification programs with a year or more of courses, exams and evaluation of clinical ability. Others are either self-taught or not regulated. The best is to have a partnership where your integrative veterinarian encourages you to do all the healing modalities you want to learn. You and she may differ about the number of vaccines, raw versus cooked meat, flea control and more, yet you should both accept the other person’s point of view. Some veterinarians and their staff are wonderful with your animal — others great at explaining to you what is happening with your animals. A few are good in both areas. Few veterinarians are perfect, and we all have bad days. Your animal should at least be comfortable with your choice and you should be able to get your questions and concerns addressed. Treat the whole animal, not merely the current problem. If there is a current problem, for example diarrhea or itching, a good holistic veterinarian will ask questions about what problems there have been in the past, what has changed in the household or the environment that may have triggered the current complaint and if there is anything that makes the current complaints better or worse. They will always evaluate the overall energy level of the animal. Their goal is to make the animal healthier for life, not just to get rid of the current symptom. They will educate you and explain what they see when physically examining your animal. A good holistic veterinarian will be thrilled at what you are learning at the Holistic Actions Academy – HMDM setting of a goal of deep healing and not merely symptom relief; basic health care of feeding fresh diet, few toxins, etc; 6 P’s, especially the one on Patience; that you are keeping a journal; that you want to be a partner with them rather than merely asking for treatments. STEP 1: Go to the web sites for each holistic veterinary organization and read about that modality. Go to their referral list to find one near to you. STEP 2: visit the web site of any practitioners you are interested in. Some practitioners are members of only one or two of the organizations. It’s usually best to work with a veterinarian who is an expert in just one method. You do need to go to every site. STEP 3: do an internet search to find more possibilities – “holistic veterinarian Baltimore” or “herbal veterinarian Baltimore”. STEP 4: Call any local holistic practitioners for people, local health food stores and even pet stores to inquire who they know. STEP 5: if no one near seems like a good match, look for a homeopathic veterinarian who does phone consults. STEP 6: personally evaluate the veterinarian (see below). Chiropractic is good for many health conditions, not merely lameness. NAET – Nambrudripad’s Allergy Elimination Technique – great for treating allergies among other problems. 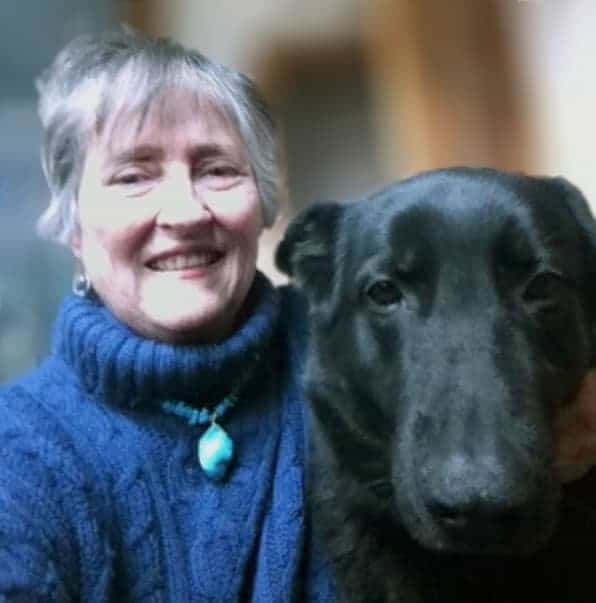 Craniosacral and Bowen – http://www.animalconnectionnetwork.com/ not all are vets, so also look for this modality at the AHVMA web site. Once you have done the internet work suggested above, how do you select one to start with how do you know if you are getting good service, what can you do to help them help your animals? Is their goal overall health or to merely treat the current complaint? This may be the most important question. What organizations they belong to & how recently have they gone to conferences or taught? She/he will always ask about the history, overall energy, what might have caused the current problem, the environment and what makes the symptoms better or worse. Their physical exam will be gentle, complete and they will show you (you may need to ask) what they mean by “gingivitis, big lymph nodes, heart murmur”, etc. They will be willing to answer your questions and explain why they are recommending a particular treatment. If they recommend conventional treatments (antibiotics, prednisone, etc.) they will explain to you why they choose this over holistic, and give you a chance to request the more holistic treatment. They will not do anything (vaccinate, treat) without asking you first. They will recommend fewer or no vaccinations and a raw meat or at least more holistic diet. They will be open to you having a different opinion. They will schedule follow up appointments until your animal is really healthy, with great BEAM (behavior, energy, appetite and mood) and none of the Early Warning Signs of Internal Imbalance. Keep a dated journal of any problems, even little ones. Write down any treatments given. Using the Healthy Animal’s Journal will help you know if your animal is merely getting temporary help or is really progressing to a deep cure. Contact them if you are unable to give the treatments or your pet does not want them. Call if symptoms worsen, or they are less energetic and less happy, or you have concerns. Keep working on a regular basis until your animal is in GREAT HEALTH. HA! Academy can help you find the right vet. While you learn how to best help your pet. Sign up below for more help from pet professionals and like-minded community. Go beyond just maintaining health - build and preserve vitality. Take control of your pet’s health. Sign up for latest news, events and inspiration. Great choice! See you on the inside!